Why wait months to pass your driving test, with one of our intensive driving courses in Truro, you can reach the driving test standard and pass your driving test in just 6-7 days. We also offer shorter intensive driving courses if you alread have sufficiant driving experience, our customer service team can help you decide which intensive driving course is best for your needs. Passing your driving test will open up the world to you, having a full driving licence will make you more employable. A full licence will offer you a whole host new job and social opportunities and will enhance your life for the better. So what better way is there to get these new life enhancing opportunities than an intensive driving course. We have local driving instructors in Truro that specialise in intensive driving courses and have the skills needed and experience needed to get you the results you want from your intensive driving course. All the intensive driving courses are run at 6 hours per day with two 30 minute breaks in the day. The prices below include your practical driving test and pick up and return from your home or another allocated address. Unfortunatlely we can not book your practical driving test or the start of your intensive driving courses until you have passed your theory test. Please make the most of our Theory Test Pro app above if you still need to pass your theory test. Its free to all of our customers, once you have signed up, let us know and we can give you full access. All of the prices below are for manual intensive driving courses ONLY. The price includes your practical driving test as well. The deposit will be payable upon booking with the remaning amount due three weeks before the course starts. 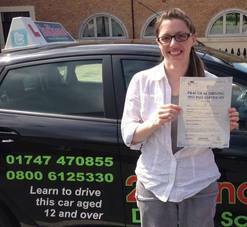 Why Did You Choose Our Driving School For Your Driving Lessons: I chose 2nd2none driving as it was the one school that stuck out to me, and would provide everything that I needed to pass my test. Thank you to Chris Jennings, I passed with 3 minors! Chris was a really good instructor!! I would recommend 2nd2none to anyone that wants to pass quickly! I chose this driving school because of the reviews I seen online. Lee Carroll is the best driving instructor and company you could have. He put you at ease straight from the start. I would fully recommend them to any one I know. I chose 2nd2None driving school for my lessons because I wanted to do an intensive course and they gave you value for money. I chose this driving school because the intensive course suited my needs with availability. My driving instructor was Chris Jennings. A great friendly service, really helpful guidance from Chris himself, I passed first time with one minor, couldn’t recommend him more. I chose 2nd2None driving school because they offer good value for money.